Mercedes-Benz G-Class Performance, Engine, Ride, Handling | What Car? 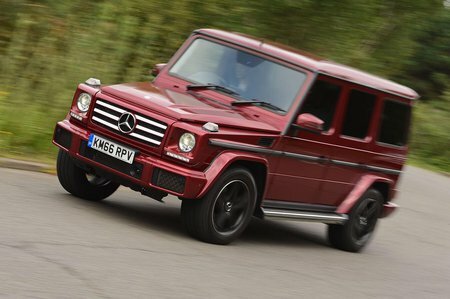 You get a choice of two engines in a G-Class: a 3.0-litre V6 turbodiesel in the G 350 d or, if you really want to spend money, a 5.5-litre V8 with a pair of turbos in the AMG-fettled G 63. Despite weighing at least two and a half tons, we’d argue the diesel is more than up to the job. It’s not fast, but there’s plenty of power from low in the rev range so getting up to motorway speed is easy. It’s far from perfect, though. Put your foot down from a standstill and there’s a long hesitation before the G-Class accelerates away. At best, it’s annoying; at worst, it makes pulling on to a busy roundabout nearly impossible. We also found the V6 to be a bit noisy on start-up and when accelerating, especially if the engine is cold. As for the V8, it just feels a bit too much for the chassis to handle – no surprise when you find out it has more than twice the power of the V6. Acceleration is fast in a straight line, but try to use the power with steering lock on and you’ll have the stability control flashing away like a Christmas tree. The problem is that the G-Class was always designed to be an off-roader above all else. Lots of ground clearance and soft suspension are great on the rough stuff but hurt handling. One of the first things you notice when you start driving is how slow and heavy the steering is, soon followed by the amount of corrections you have to apply to keep it in a straight line. Enter a corner and the body pitches over like a ship in sail, making it a car you won’t want to drive quickly. You might think the soft springs would aid comfort, but on a bumpy B-road you get thrown all over the place due to the archaic suspension set-up. 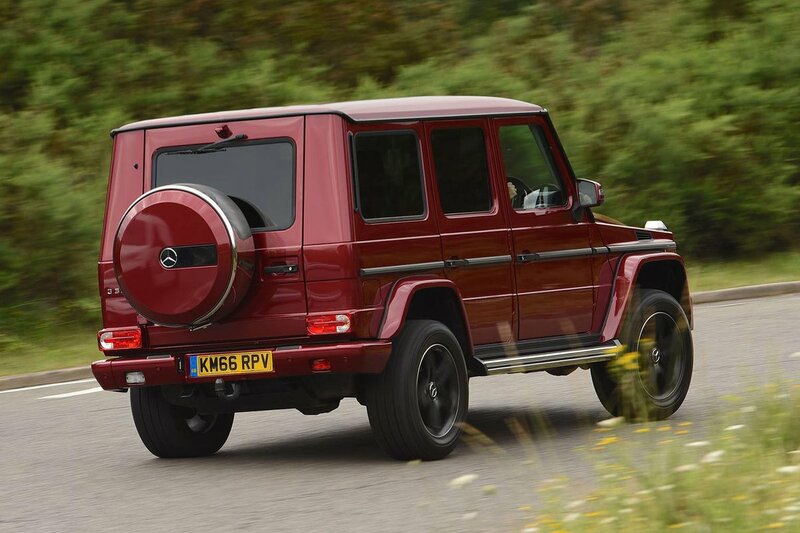 Even so, the G-Class has an undeniable charm. Its lumbering manners hark back to a bygone era of old-school 4x4s that force you to drive slower. This means you can appreciate the lofty driving position that leaves you towering over virtually everything. You really do feel like the master of everything you survey.